This year we made a Thankful Turkey. It's a turkey shape made from construction paper and a paper bag, (DM Tip: you could even use paper plates. 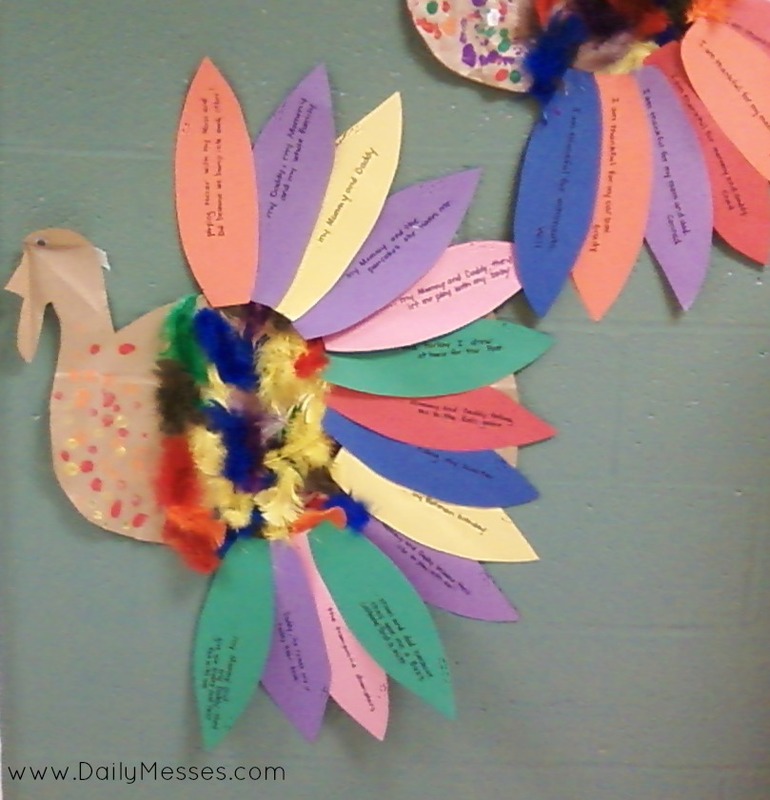 Different colored feathers are cut out from pieces of construction paper. At dinner, everyone gets a feather and writes what they are thankful for and attaches it to the turkey. I think it's important for my kids to realize they are blessed in this life, that there are others less fortunate, and to be thankful for what they have. 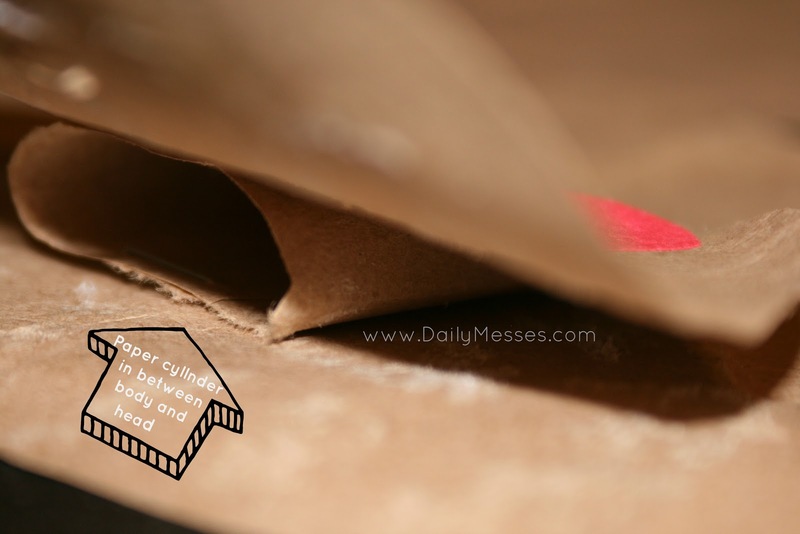 Paper bag, construction paper, paper plate, etc. For this craft, I chose the easiest method, although I have alternatives listed below. 1. Cut out a round shape from the paper bag or paper (this will be the body). 2. Cut out a head/neck shape from the bag/paper. 3. Glue head to body. *I wanted the head to stick out a little bit. I cut a strip from the paper bag, folded it to make a cylinder and stapled in the middle. I then glued it to the body, and then glued the head to the cylinder. 4. Draw or glue on googly eyes. 5. Cut out a wattle shape from red construction paper and glue on. 6. Cut out beak from yellow or orange construction paper and glue on. 7. Cut out feathers from different colored construction paper. 8. Have everyone write what they are thankful for on a feather and tape or glue to the back of the turkey. Paint a cardboard tube (toilet paper roll, paper towel roll cut in half) brown. Glue to the back of a paper plate (painted brown). Attach or paint on eyes and a beak. Glue the feathers to the plate. 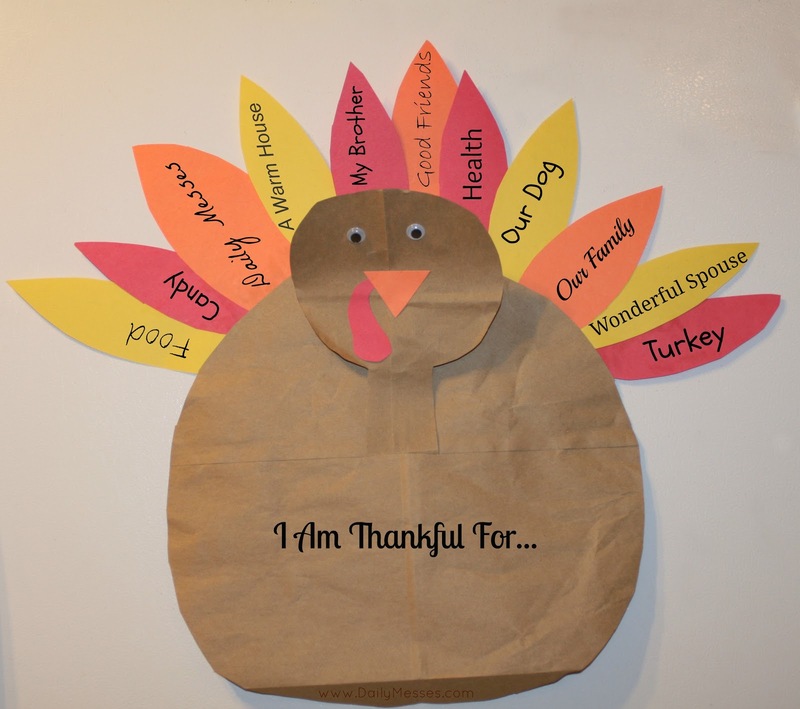 Stuff a brown paper bag with newspaper, tie shut, and create a Thankful Turkey centerpiece! Glue feathers and other decorations on the turkey.